BELCHER, ANDREW, merchant, jp, and politician; b. 22 July 1763 in Halifax, son of Jonathan Belcher* and Abigail Allen; m. 6 Sept. 1792 in Boston Mary Ann Geyer, and they had 11 children; d. 17 Nov. 1841 in Boulogne-sur-Mer, France. The dominant influence in the early life of Andrew Belcher was not his father, Nova Scotia’s chief justice from 1754 to his death in 1776, but Alexander Brymer*, a Scottish-born entrepreneur who dominated the Halifax business community through the last quarter of the 18th century. His father having died mired in debt, young Andrew’s prospects were redeemed when Brymer made him his business protégé A more ideal patron could hardly have been secured. Brymer supposedly came to Halifax in the 1770s with £4,000 and left a quarter century later with a fortune of £250,000, the bulk of which derived from contracts to supply the Royal Navy. Having been trained to the role of merchant-gentleman, Belcher set up in trade in 1784, in partnership with a nephew of Brymer. That arrangement ended in 1795, with Belcher emerging as chief agent in Halifax for Brymer’s London-based commercial empire. An indication of the scale of Brymer’s operation is provided by the fact that between 1792 and 1810 the firm landed at Halifax goods valued at over £140,000. Not surprisingly, contemporaries ranked Belcher as “one of the most eminent merchants” resident in Nova Scotia. Accumulation of wealth prompted an acquisition of civic honours. Within a couple of decades of launching his career, Belcher had become a justice of the peace, warden of St Paul’s Anglican Church, president of the local grammar school, high officer in the masonic order, member of Halifax’s Committee of Trade [see William Sabatier*], director of the abortive Shubenacadie Canal Company, and co-founder of the Fire Insurance Association of Halifax. In 1799 he sought election to the House of Assembly in Halifax Township, and on his defeat successfully petitioned to have the vote nullified. He then won the subsequent by-election, ousting a veteran incumbent who could not match his “ledger influence.” Belcher’s tenure in the assembly proved brief. 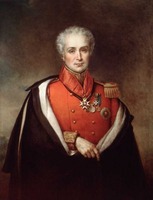 In 1801, thanks in part to the intervention of Lieutenant Governor Sir John Wentworth*, he secured appointment to the Council, taking up the seat vacated by the departing Alexander Brymer. Thus confirmed as a member of Halifax’s oligarchy, Belcher surrounded himself with the hallmarks of gentility, including both town and country residences, large land holdings, and a portrait executed by the celebrated artist Robert Field*. His sense of achievement was lessened, however, by quarrels with other members of the Nova Scotian élite. Michael Wallace*, the provincial treasurer, repeatedly challenged Belcher’s claims to precedence within the Council, a conflict that related to the question of who would succeed to control of the administration should the lieutenant governor be absent. Far more serious was the enmity shown toward Belcher by Alexander Croke, an Englishman sent out to Nova Scotia to serve as judge of the Vice-Admiralty Court. Predisposed to belittle all colonials, Croke took particular offence at Belcher, alleging that his fellow councillor was a smuggler. Croke’s vindictiveness climaxed about 1805 with the circulation of a mock epic poem, using pseudonyms, entitled “The Inquisition.” In it, Belcher’s wife was accused of repeated adultery with military officers and members of the civil administration, including Wentworth’s son. 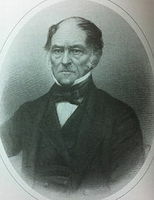 Belcher, portrayed by Croke as a “contented cuckold” who could not be certain who had fathered his children, must have been injured by this widely circulated document, but he did not retaliate, presumably because his wife had indeed engaged in compromising behaviour. Such was Croke’s unpopularity, however, that the Belchers did not suffer ostracism. Removing to England in 1811, Belcher established a residence in the London suburbs, which became a fashionable retreat for itinerant Nova Scotians. Over the next few years, in demonstration of continuing allegiance to what he termed his “native Country,” Belcher donated a set of bells to St Paul’s, subscribed to a fund-raising drive by King’s College, and provided books to the fledgling Halifax library. More decisively, he maintained an active business presence in the Nova Scotian capital. Operating with a succession of partners, Alexander Wright, Stephen Newton Binney, and Mather Byles Almon*, Belcher functioned as a non-resident member of Halifax’s merchant community. He also dabbled in the New Brunswick and Nova Scotia Land Company, a speculative venture designed to promote settlement and resource development. But for a last minute change of heart, he would have become a partner in the Halifax Banking Company, the province’s pioneer banking institution established in 1825 [see Henry Hezekiah Cogswell*]. Apparently overextended by questionable investments, perhaps combined with a costly life-style, Belcher fell victim to the acute commercial recession of 1826. Harassed by creditors, he gave up his London house and moved to Cheltenham, Gloucestershire, a spa which offered relief from the physical and mental exhaustion felt by both Belcher and his wife. Their distress deepened in 1828 when Belcher lost his provisioning contracts at Halifax and Bermuda. In a frantic effort to avert bankruptcy, he pleaded with his Nova Scotian friends for extended credit, as well as assistance in securing some appointment – provincial agent in London or treasurer in succession to Michael Wallace. Finally, early in 1829, a desperate Belcher returned to Halifax to assume personal direction of his surviving business interests. Assisted by a cyclical expansion in Halifax’s trade, Belcher began to rebuild his battered fortunes. He still had enough influence to secure appointment as Halifax agent for the General Mining Association, a British company then launching large-scale coal exports from Nova Scotia to the United States. That lucrative office was complemented by his being named to the commission in charge of issuing provincial paper money. 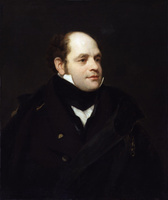 Belcher and his wife gained admission to the coterie surrounding Lieutenant Governor Sir Peregrine Maitland* and rumours began to circulate that Belcher might be reappointed to the Council. In 1832 he had enough capital to invest £1,000 in stock issued by the Bank of Nova Scotia, newly created as a rival to the Halifax Banking Company [see William Lawson]. This success could not survive, however, in the face of commercial dislocation and rivalry from fellow entrepreneurs. Dependent on long lines of credit, Belcher lacked the means to withstand the return of hard times in 1833 and 1834. Thus weakened, he could not resist Samuel Cunard*’s drive to have himself named Halifax agent of the General Mining Association. The decisive blow came early in 1834 when three of Belcher’s major creditors, Cunard included, foreclosed, demanding payment for accounts in excess of £12,000. A host of smaller creditors followed suit. One contemporary was prompted to say that among the victims of the recession “the Most Melancholy of all is poor old Belcher, who, after giving up all to his creditors, has had Capias after Capias served on him from Butchers, Bakers, &c.” Within a year the family fled Halifax, eventually taking refuge in France, where both Belcher and his wife died in relative destitution. 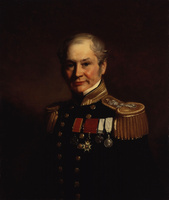 The remnants of prestige attaching to the family largely rested with Andrew’s son Edward*, a captain in the Royal Navy and commander of the controversial Arctic expedition sent in 1852 to search for Sir John Franklin. Andrew Belcher’s career went full circle, from penniless youngster to ageing absconding debtor. His failure derived from factors which went beyond personal character flaws. Belcher’s success had been shaped by access to powerful friends, military contracts, and an economy sustained by the demands of war. Left on his own to survive in the unstable and competitive business climate of the 1820s and 1830s, he could not cope. As had his father, Andrew Belcher fell victim to change. Halifax County Court of Probate (Halifax), Estate papers, B37 (mfm. at PANS). Halifax County Registry of Deeds (Halifax), Deeds, 33: 238; 34: 247. PANS, MG 1, 334, nos.22a–22c; 793, nos.77, 80a, 81–83, 91–93, 99; RG 1, 172: 122; 174: 311; 305, no.56; 312, nos.3, 56; 413, no.2; RG 4, LC, 25 Feb. 1811; RG 5, P, 121, 31 Jan. 1832; RG 39, HX, J, 38: 293. PRO, CO 217/64: 97; 217/68: 197; 217/74: 11; 217/84: 92; 217/87: 127; 217/88: 102; 217/102: 241; 217/144: 143; 217/145: 320; 217/150: 351. N.S., House of Assembly, Journal and proc., 21 June 1798, 21 Feb. 1800, 25 Feb. 1811. Acadian Recorder, 21 Feb., 18 July 1818; 20 Nov. 1824. Novascotian, or Colonial Herald, 20 Jan., 3 Feb., 17 March 1831; 10 May 1832; 23 Jan. 1834; 30 April 1835; 8 Aug. 1839. Nova-Scotia Royal Gazette, 1 Sept. 1808; 25 April 1809; 13 Feb., 27 Nov. 1811. Royal Gazette and the Nova-Scotia Advertiser, 16 Dec. 1794; 12 Jan. 1796; 2 April, 26 Nov. 1799; 1, 15 April 1800. Annals, North British Society, Halifax, Nova Scotia, with portraits and biographical notes, 1768–1903, comp. J. S. Macdonald ([3rd ed. ], Halifax, 1905). A calendar of the White collection of manuscripts in the Public Archives of Nova Scotia, comp. Margaret Ells (Halifax, 1940). Directory of N.S. MLAs. Halifax almanac, 1797–1812. N.-S. calendar, 1794. R. V. Harris, The Church of Saint Paul in Halifax, Nova Scotia: 1749–1949 (Toronto, 1949). History of the Bank of Nova-Scotia, 1832–1900; together with copies of annual statements ([Halifax], 1901). Murdoch, Hist. of N.S., vol.3. Victor Ross and A. St L. Trigge, A history of the Canadian Bank of Commerce, with an account of the other banks which now form part of its organization (3v., Toronto, 1920–34), 1. 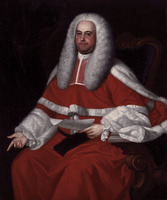 C. J. Townshend, “Jonathan Belcher, first chief justice of Nova Scotia . . . ,” N.S. Hist. Soc., Coll., 18 (1941): 25–57. T. B. Vincent, “`The Inquisition’: Alexander Croke’s satire of Halifax society during the Wentworth years,” Dalhousie Rev., 53 (1973–74): 404–30. David A. Sutherland, “BELCHER, ANDREW,” in Dictionary of Canadian Biography, vol. 7, University of Toronto/Université Laval, 2003–, accessed April 20, 2019, http://www.biographi.ca/en/bio/belcher_andrew_7E.html.